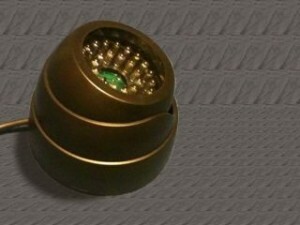 The name UltraSENSOR™ is a Trademark of Kromalaser (as well as the name “Kromalaser” is a Trade Mark) and it indicates a special laser Sensor, totally insensible to the daily- artificial- light. This sensor it is made with special technology that permits to the CPU of the laser harp, to recognize exclusively the light emitted by the laser projector integrated or connected (in case of our ILDA Controllers ) to the harp. It means that you can easily play your Laser Harp in all the light condition, without having issues. 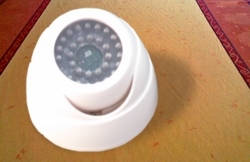 If you don’t have the UltraSENSOR™, the light condition is determinant, so that you must play with green/blue light or taking care that the sensor is quite protected. The design of this device, is the result of years of experience that only Kromalaser has on the market of musical instruments laser-based, because it’s the only one that is working on this sector since 2008. And we have accumulated a huge know how in term of issues and their solutions. We can thus design the most advanced devices for such use. It’s better to clear definitely out that this magic sensor was created to equip in the KL-PRO, and since KL-PRO is on the market, it is equipped with UltraSENSOR™. From that moment on, the UltraSENSOR™ is a Kromalaser’s Standard, and it is mounted on all the harps but the KL-450 BASIC. For this harp, it is available as an option even if this model of harp is not any longer in production.